The eponymous debut album by British prog-rockers Yes is considered to be the first progressive rock album. And Yes the band (for their playlist, click here) is considered to be the most venerable and commercially successful prog-rock band. Their debut album was released on October 15, 1969 in the waning days of psychedelic rock, and just ahead of the big splintering of rock music into a multitude of sounds and genres that made the 70s the best decade for rock music. With their next three albums, Yes became a major and defining force on the progressive side of rock music. But the debut LP didn’t fare well, even though it’s a decent collection of early Yes songs. The biggest reason: Yes was released within a few weeks of several notable late-1969 rock albums by the heavy hitters of the time, including Tommy by The Who, Led Zeppelin II, and the Stones’ Let It Bleed. By 1973, that would all change. By the way, Yes includes two very ambitious and interesting covers of songs by the Beatles (“Every Little Thing”) and the Byrds (“I See You”). To download Yes from iTunes or for a CD from Amazon, click here. A superstar in his own right for his fronting vocals with The Who, Roger Daltrey called on some top-notch songwriters and high-profile friends to support him on his moonlighting solo efforts. His third LP outside the sphere of The Who, One Of The Boys, was released on May 13, 1977. Unfortunately, like all his other solo albums, this one was a worthy effort but mostly a commercial bust. Roger was not alone in carrying on a parallel solo career during breaks in The Who’s touring and recording schedules. Like guitarist/bandleader Pete Townshend and bassist John Entwistle, Daltrey issued 12 or more albums between the early 70s and mid-90s, and like the other two never found much success with his solo ventures. But for all three, stepping out from the band’s spotlight gave them a chance to go beyond The Who’s generally hard rock style. 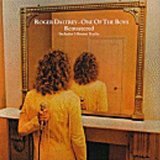 On One of the Boys Daltrey explores his own world, including a light country-rocker (“Single Man’s Dilemma” written by former Zombie Colin Blunstone and reminiscent of the New Riders), an exuberant pop-rocker penned by Paul McCartney (“Giddy”), a pounding rocker in the title track, and three mediocre tracks which he co-wrote. There’s some very good stuff here, just not enough to form a cohesive album or grab any but the most serious Daltrey fans (or devoted Who-spin-off collectors, if there is such a thing). Roger’s Under The Raging Moon (1985) is a better bet. There’s a full 25 track playlist for The Who in the Playlist Vault, and One of the Boys can be purchased as a CD or mp downloads at Amazon. The eponymous debut album by British prog-rockers Yes is considered to be the first progressive rock album. And Yes the band (for my Yes playlist, click here) is considered to be the most venerable and commercially successful prog-rock band. Their debut album was released on October 15, 1969 in the waning days of psychedelic rock, and just ahead of the big splintering of rock music into a multitude of sounds and genres that made the 70s the best decade for rock music. With their next three albums, Yes became a major and defining force on the progressive side of rock music. But the debut LP didn’t fare well, even though it’s a decent collection of early Yes songs. The biggest reason: Yes was released within a few weeks of several notable late-1969 rock albums by the heavy hitters of the time, including Tommy by The Who, Led Zeppelin II, and the Stones’ Let It Bleed. By 1973, that would all change. By the way, Yes includes two very ambitious and interesting covers of songs by the Beatles (“Every Little Thing”) and the Byrds (“I See You”). 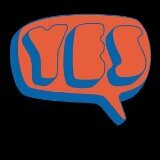 To download Yes from iTunes, click here. For a CD from Amazon, click here.